Given this, it should come as no surprise that the PSAP operated by the Fort Myers Police Department in Florida, which handles more than 200,000 emergency calls each year, was facing a serious staffing challenge of its own. The PSAP was authorized for six call-takers and 16 dispatchers, but over a five-year period averaged just five call-takers and 12 dispatchers, significantly affecting the center’s ability to perform at or above industry standards. Low employee morale and a high staff turnover rate compounded these issues. Recognizing that something needed to be done, the department contracted with Mission Critical Partners (MCP) to conduct a comprehensive staffing study that involved several different methodologies and a proprietary, multimodal framework that considered several different factors including workload, coverage of necessary positions and performance metrics. These statistical calculations were balanced with operational logistics to help identify the number of personnel needed to meet and exceed performance goals set with industry standards in mind. In Fort Myers’ case, MCP recommended that the ideal telecommunicator roster size be increased from 22 to a minimum of 28 staff members. MCP also recommended in a subsequent report that Fort Myers eliminates the practice of hiring call-taker-only personnel and instead hires and trains those who could perform both call-taking and dispatching duties to provide much-needed staffing flexibility. MCP also recommended a shift in operational focus to the concept of workforce optimization and its pillars of recruitment, hiring, training and retention. This included adding a 24 x 7 shift supervisor position and installing a quality assurance (QA) program, as well as hiring a QA/training manager, to ensure consistency of operations and employee training programs. The department has begun to take steps to fully staff its PSAP, with all call-taker positions filled and remaining dispatcher and shift supervisor positions expected to be filled by the end of 2018. In addition, a veteran dispatcher with more than 25 years of experience has been promoted to the QA/training manager position and will work with PSAP officials to develop a QA program, revamp the PSAP’s existing telecommunicator training program and help to align operations with the workforce-optimization pillars. 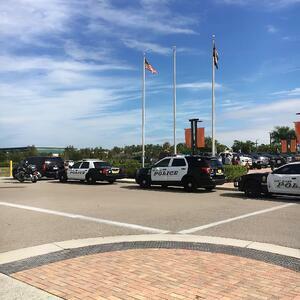 Download the complete case study to learn more about MCP’s work with the Fort Myers Police Department to overcome its PSAP staffing challenges. If you’re a PSAP official facing a staffing crisis, contact us to learn more about conducting a staffing study for you agency.